We are living in a progressed world, we are technically advanced and is capable to satisfy our needs and demands. Services marketplace exists with a purpose to fulfill our on-demand service requirements easily. 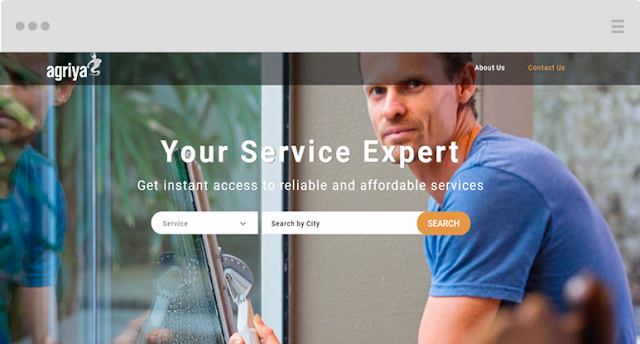 Our on-demand service needs are growing day by day and thus paved the way for many to enter into this business realm. Agriya’s new service marketplace solution is an advanced software script, developed specifically for businesses to facilitate them deploy an outright on-demand services platform. To fulfill the expectation of the customers, to come up with an industry-best solution for a problem is the best way to succeed in business. 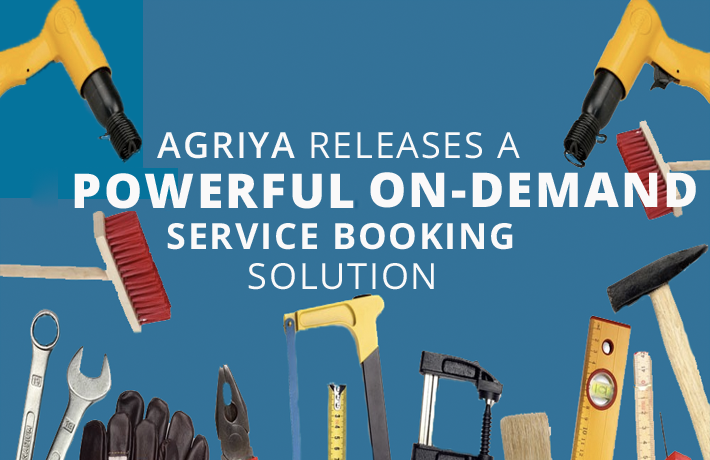 Agriya developed an on-demand service marketplace solution, ideal to meet today’s on-demand services requirements. It enables businesses to deploy an intrinsic service marketplace platform within a quick time frame. Flexible Authentication methods - Easy sign in, sign up methods for users to join the platform. They can either join through their social profiles or by regular Email. Flawless Services Booking - Find the required services by making use of categories. Take advantage of advanced search options to filter the service you demand from the rest. Choose from Multiple Languages - Choose the language in which you want to use the platform in. Bring convenience to your actions through this. Reviews, Ratings, and Constructive Feedback- Give feedback and reviews on the services you received. Help business to improve their services through your opinion. Genuine Payment Gateways for secure transactions - Indulge in safe money transactions. Built-in Paypal payment gateway ensures reliability. Add services by Providing Relevant Information - Include services of your expertise, publish them under right categories, get identified by thousands of service seekers. Scrutinize customer responses with Performance Indicator - Get a clear idea of customer behaviors, actions, and rate of response by utilizing the performance indicator. Get Information on previous transactions via Transaction history - Access previous booking details as well as the payment information with the help of transaction history. Sponsored Listing to Enhance Visibility- Reach more potential customers by upgrading to the sponsored listing. Get displayed on top of all your competitor’s listing. Solid Admin Panel for Absolute Control - An advanced admin dashboard is integrated to facilitate businesses. It helps them gain control over the whole process, thus making it more efficient as well as transparent. Add Multiple Locations To Broaden your Business - Add different cities and locations, incorporate more service providers from added locations. Attract more service seekers as well. Predefined Email Templates to Facilitate the Marketing Campaign - Built-in Email templates save time and effort, moreover, rationalize your Email marketing efforts. Real-time Notifications and Alerts - Admin can notify or alert users regarding platform or business. It helps to maintain an active communication channel, besides, gives more clarity to users. Machine-controlled Analytical Data - Get valuable insights into customer behavior, actions and so much more. Grow your business further by knowing your customer. On-demand services market is subjected to competition, so it is extremely important that one should constantly upgrade the platform to survive. Agriya’s on-demand service marketplace solution is customizable and is built to adapt with modern-day market needs. Grab this comprehensive software solution to ascend your business big time.